The Miramichi Reader is an excellent site that champions Canadian Literature and small publishers, with a focus on Atlantic Canada. 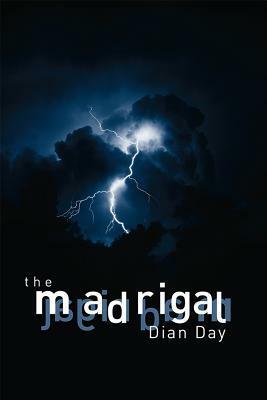 For the second time, James Fisher and I are doing a book review swap for which James has chosen to read and review The Madrigal by Dian Day. Dian Day is the author of The Clock of Heaven, which won the 2009 IPPY Silver Medal for Literature. She lives in rural Nova Scotia. Have you ever read a book in which the setting is a place you know well, such as your hometown? It really locks you into the story at an initial stage, doesn’t it? Such is the case with The Madrigal by Dian Day (2018, Inanna Publishing). The main, or present-day setting is in Kingston ON, and while the city is not named as such, all the familiar street names are there as well as other well-known landmarks. Since I wasn’t expecting this, it made reading The Madrigal all that more personal. The Madrigal is narrated by Frederick Madrigal, the seventh son of his mother who previously bore three sets of twins, all boys. Frederick’s father leaves almost right after he is born, thus Frederick has no recollection of him, so he is never missing a father figure. What he does recollect, as being the youngest boy in a family of seven, is being poor with the dilapidated house (and his mother) being overrun by an out-of-control six-pack herd of growing boys, devouring food at an alarming pace and coming and going as they pleased. Young Frederick is also the victim of his brother’s bullying, so he has no lingering affection for them in his later years. What he fondly does recall is his mother’s sweet midnight singing, alone in the peaceful kitchen, while Frederick listened from his nearby bedroom. Frederick too is gifted with a voice, one that he, at the age of eleven uses to make money for singing lessons at The Whole Note music store (run by Ed, who will soon become one of his benefactors) by singing on the streets outside the downtown bar area at night. He has to store his cash at The Whole Note so his brothers won’t find it. Picked up by Constable Miller, he is taken home and asked to show up at the police station two days later. Constable Miller becomes another of his benefactors and he is soon singing in the choir at St. Georges in Kingston. There, he is scouted out by St. Mary’s Choir School in Toronto and is offered a scholarship on the spot. Frederick believes this is God’s answer to his prayer to get him away from his life at home. Frederick tells his story in a present-past-present style that keeps the story flowing at two levels: with Frederick dealing with his present issues (he is very much an introvert, works as a mail delivery person, refuses to sing in public, a mother who has suffered a major stroke and now speaks in confused riddles, and now Ed’s health is declining) as well as relating his past issues that keep haunting him (something happened to cause a rift and consequent problems between him and his best friend at St. Mary’s, Alex Hughes). At 370 pages, this is a large read, but the story demands it, and the pages fly by. I found it interesting (but not odd) that a female author captures the male voice so well. In fact, the story is dominated by males of all types, with only Frederick’s mother, Ed’s sister Annie (with whom Frederick boards while attending St. Mary’s) and his next-door neighbour Maya with the most prominent female roles. The foremost source of discord in The Madrigal is what happened between Frederick and Alex just before their final Christmas concert appearance. They were both to go on to Julliard, but neither one did, and both their lives took very different paths. The many veiled and direct references to this rift throughout the book serve to heighten the suspense and bring Frederick, through some well-penned inner-directed contemplations (spurred on by the failing health of his mother as well as that of Ed, who still owns the sad little music store) to conclusions he can no longer ignore and now must confront if he is to move on to the second half of his life. The Madrigal is an exceptionally good read, one that I couldn’t wait to return to, and along the way provides some sound life-lessons to ponder. Thanks to James, I have a new Nova Scotia author to add to my list, and I’m looking forward to reading both of her books! Hopefully I’ll be able to give you my opinion soon! There are a few aspects of the story I didn’t comment on, so there’s definitely plenty of ground to cover with this book. I would love to read your observations on Frederick! This sounds interesting. When home towns appear in things it’s always quite disconcerting I find! London appears a lot and I’m usually the one grumbling “that’s not a city a recognise” at the book/screen. But when it’s done well I feel there’s an extra element speaking to me. Very true. Kingston was a small city when I lived there, but if it’s a large metropolitan city like London or Toronto, a story set in one of its neighbourhoods can make the setting more intimate. Wonderful review James! I love that you guys do this, it’s the height of reading local and supporting other local blogs! I’ve seen this reviewer’s name around, but I’ve not met him. I wonder if this story is very sad based on the character’s childhood and not attending a prestigious school when he had the chance. I wouldn’t call it sad for Frederick, but it was more tragic for his friend Alex. It’s not a depressing book by any means. Can’t elaborate, or I’ll get into spoiler territory! Inanna has some very good books. And what a particular delight to discover your unnamed hometown. I used to spend a lot of time hanging out at the music store (with other people who also must have incorrectly thought it was cool – heheh); I wonder if they, like bookstores, are increasingly infrequent now.